From tomatoes to turmeric: Can foods fight inflammation? Inflammation is a hot topic. What’s it all about? And what’s the scoop on certain diets, foods and supplements, such as turmeric, when it comes to fighting inflammation? Not all inflammation is “bad.” Acute inflammation is part of the body’s natural way of defending itself from foreign substances like viruses, bacteria, cuts and splinters. It may cause redness, swelling, heat and/or pain. The upside is, these symptoms are a sign that the body is responding after an injury or infection by triggering white blood cells and disease-fighting chemicals. But some “other” kinds of inflammation — like chronic inflammation (which may include constant low-grade or systemic inflammation) and inflammation from autoimmune disorders (where the body attacks its own healthy cells as if they’re foreign) — doesn’t always show visible or obvious symptoms and can play a more long-term and complex role, according to Mayo Clinic. Which diseases or conditions does it affect? Mounting research shows that inflammation is a common underlying factor (and possibly a cause) in many — perhaps even all — diseases. You’ve probably heard about the role of inflammation in arthritis or heart health. But researchers and doctors have also studied inflammation’s link to a wide range of other diseases and conditions, including cancer, diabetes, Alzheimer’s disease, multiple sclerosis (MS), Parkinson’s disease (PD), major depressive disorder (MDD), post-traumatic stress disorder (PTSD) and ALS (note: in the case of ALS and some other conditions, researchers are still determining whether some inflammation may be protective rather than harmful, so more research is needed). Over the past decade, scientists have also started to identify certain genes associated with inflammation, and research on that front continues. 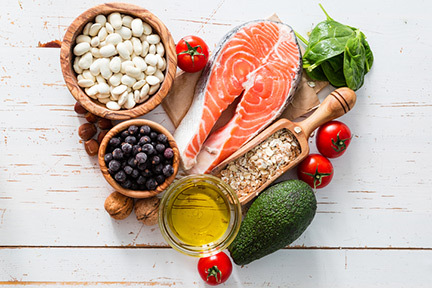 Some people follow an “anti-inflammatory diet,” but the science behind these particular diets does not clearly support the theory that they thwart inflammation, and doctors advise being wary of the health claims they make. That said, taking steps to maintain a healthy weight and eat a variety of foods with anti-inflammatory properties (rather than follow a certain “Diet” with a capital “D”) may benefit your health. “Many experimental studies have shown that components of foods or beverages may have anti-inflammatory effects,” says Dr. Frank Hu, professor of nutrition and epidemiology at the Harvard School of Public Health. Talk with your doctor or a registered dietician about a healthy eating plan with your health condition(s) in mind. What’s the deal with turmeric? There’s currently a lot of buzz around turmeric and some other supplements believed to help fight inflammation. Turmeric, a plant related to ginger, is a common spice known for its gold color and use in curry powder. On top of being used as spice, it can be taken as a supplement. The main anti-inflammatory ingredient in turmeric is curcumin, which is available as a supplement on its own (the content of curcumin in turmeric spice is only around 3%, so curcumin supplements may pack more of an anti-inflammatory punch). One study found that curcumin may have the same anti-inflammatory effects as NSAID pain relievers, such as aspirin, ibuprofin, (Advil/Motrin) and naproxen (Aleve). Preliminary studies have shown promise for curcumin’s use in people with ulcerative colitis, multiple myeloma, lupus and depression. However, there’s still a lack of conclusive research on the effects of turmeric or curcumin in people with many other conditions, so these supplements typically aren’t recommended as part of a treatment plan at this point. Additional studies on curcumin are currently underway for people with some forms of cancer and neurodegenerative diseases, such as ALS, MS and PD. Talk with your healthcare provider before starting any new vitamin, supplement or treatment. Cat’s claw (Uncaria tomentosa) — This could ease rheumatoid arthritis joint pain and osteoarthritis knee pain during activity, but more research is needed. Devil’s claw (Harpagophytum procumbens) — It’s commonly used in Europe and may be effective in the short-term treatment of osteoarthritic pain. Mangosteen (Garcinia mangostana) — Made from the mangosteen fruit, this supplement may have anti-allergy, antibacterial, antifungal, antihistamine and anti-inflammatory qualities, but more research in humans is needed. Milk thistle (Silybum marianum) — This may help improve organ function in people with cirrhosis, a chronic liver disease. It may also be helpful in treating chronic hepatitis. But more research is needed before it can be recommended. 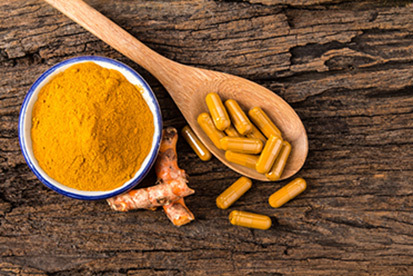 Hundreds of patients report using turmeric for a wide variety of health reasons — see what they have to say. Join the community for even more details on the treatments patients have tried and to learn and share about nutrition with your condition. Happy (almost) Mother’s Day! 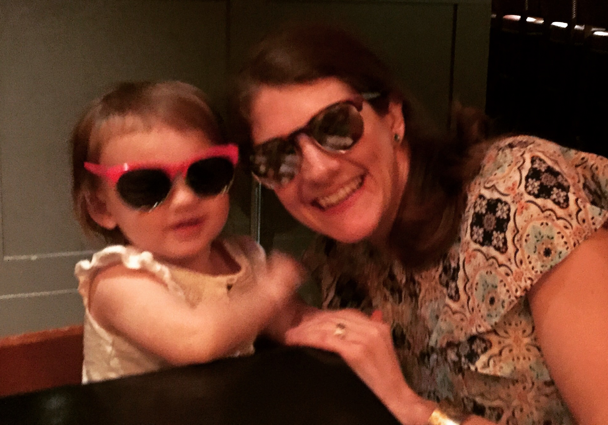 I’m Erin, a PatientsLikeMe senior copywriter living with type 1 diabetes – and a very busy toddler. My sister recently joked that my purse is “quite the Mary Poppins bag.” And it is. Between my diabetes “jazz” and baby paraphernalia, I need a big bag. The spread of stuff I lug around is far from those sleekly styled “What’s in my bag?” features you see in tabloids, where celebrities flaunt their favorite eyeliner, seaweed snack and fur keychain. So what’s in my bag? This is just a sampling of things I bring when I’m running quick errands with my daughter (longer trips call for larger and/or multiple bags). Snacks! I try to pack a few kinds – like popcorn, whole-wheat crackers, protein bars and string cheese – for a mix of carbs and protein. Manufactured foods have been demonized lately with the (positive) trends toward “clean eating” and whole foods. But my doctor assured me that the healthy packaged snacks are great for people like me who are always on the go and need to check nutrition labels and count carbs (to balance with insulin intake). Also, I always have water on me because diabetes can make me super thirsty. People taking insulin always need to have candy or something purely sweet on hand in case of low blood sugar. I keep glucose tablets at my house and in my car, but Smarties are a nice, compact treat to keep in the pocket of my glucose meter case. 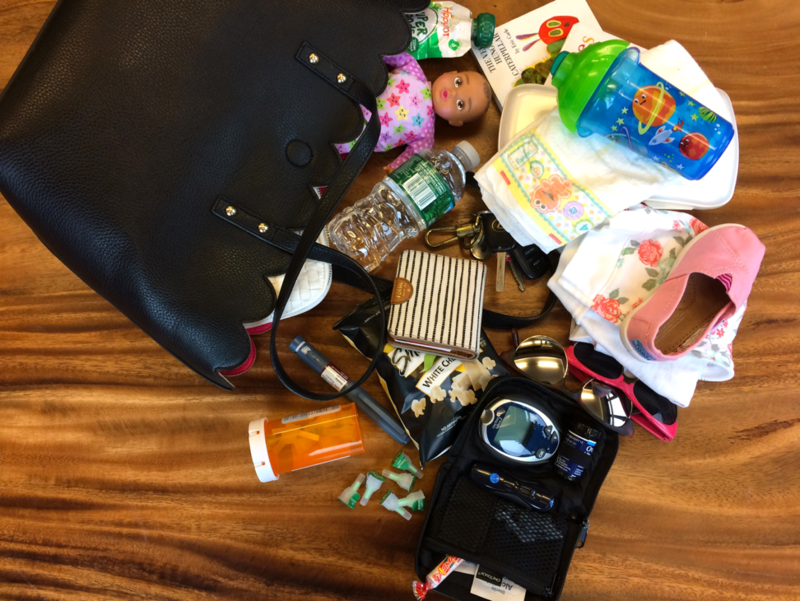 Diapers, baby wipes, spare clothes, a sippy cup, snacks, books and a toy (usually a doll – because babies love babies) are the “momming” basics in my bag. Car keys make a great teether when molars are coming – fun! Oh, and a lone shoe: One little shoe always ends up in the mix because my daughter is happiest when she’s wearing just one. What have I learned about managing all this stuff (in my bag/life)? Pouches win. I store my diabetes things in a zippered pouch to limit some of my rifling when I need to dig it out. A cute pouch can bring a little bit of joy when you’re toting meds for a chronic condition. Cliché but… don’t sweat the small stuff. Until recently, we sent my daughter to daycare in her footie PJs because we were juggling so much in the morning – nobody judged/we didn’t care. My “beauty routine” is roll-on under-eye concealer and maybe some blush, on a fancy day. No biggie. “Adulting” is hard. Sunglasses are great for both sunny days and the occasional tough day when I need take a walk and shed a few tears – which is so healthy. My (amazing) mom died when I was in college, and balancing motherhood and diabetes isn’t easy, especially without her in my life. 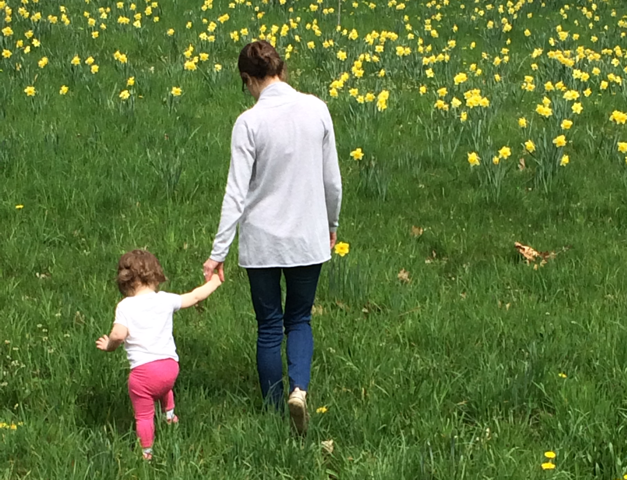 Big props to my husband – who is incredibly helpful, patient and supportive – and to my daughter, who makes life sweet. Keep on hustling, moms! You’re awesome – even if your bag is a big ol’ mess. On PatientsLikeMe, more than 12,000 members living with health conditions say they’re interested in connecting about parenting. And hundreds of topics in the forums are tagged with “parenting.” Join the discussion!